Round Two: Due to numerous ties, please vote again! As before, please leave a comment as to which you prefer. Please spread the word and send everyone to cast their votes. THANKS in advance! This entry was posted in Azure Avians, General, Jess Barry, Kris Katzen, Reid Alan, Rigel Ailur and tagged Anthology, Bluetrix Books, cat, Short Story. Bookmark the permalink. 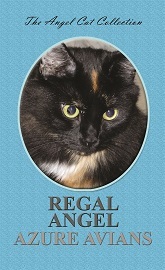 I vote for Regal Angel! I vote for rigel ailur,ferocious angel with blue background. 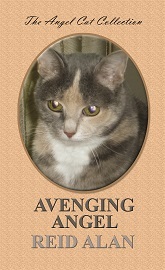 Avenging Angel and Vanishing Angel are my choices!! 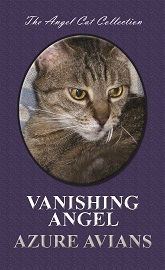 I like Vanishing Angel! The Kitty has a lot of character! Regal Angel and Playful Angel. 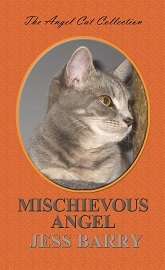 I vote for Mischievous Angel (although, based on a bit of insider knowledge, the feline pictured there should really be on the cover of Ferocious Angel…). Vanishing Angel gets my vote. 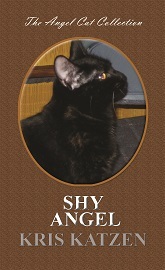 Vanishing Angel – how mysterious! 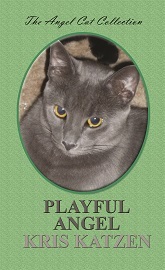 Playful Angel. Looks just like my Graycie! 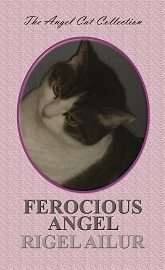 Ferocious! It’s a pun! Furr-ocious!